After running 40 minutes late on her first day of community service Thursday at the Los Angeles County Morgue, and being turned away, Lindsay Lohan managed to show up early on Friday. The actress arrived in a black SUV shortly after 6:30 AM and entered a bungalow adjacent to the facility, where she began filling out paperwork. Lohan, who arrived an astounding 90 minutes early, remained silent while entering the building in a black hoodie and dark sunglasses. Being on time for Lindsay has proven to be difficult. The star was even tardy a few times to court. However, after missing yesterday's 8 AM start time, Lohan later posted a message on her WhoSay page: "With all of the stress and pressure from yesterday and today, I've never been so happy to go to therapy!!!! Also, I'm sorry for the confusion that I may of (sic) caused to those at the Coroner's office. Won't happen again, now I know where to go! Thank you for your help." 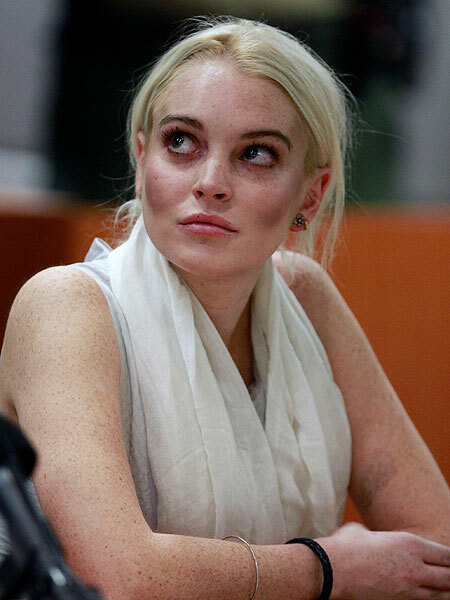 According to Lindsay's rep, "Her lateness was due to a combination of not knowing what entrance to use and confusion caused by the media waiting for her arrival. Lindsay spoke with the supervisors at the morgue, they showed her how to get in and everything is cleared up."